A few days ago I came face to face with three rather sinister-looking ladies. 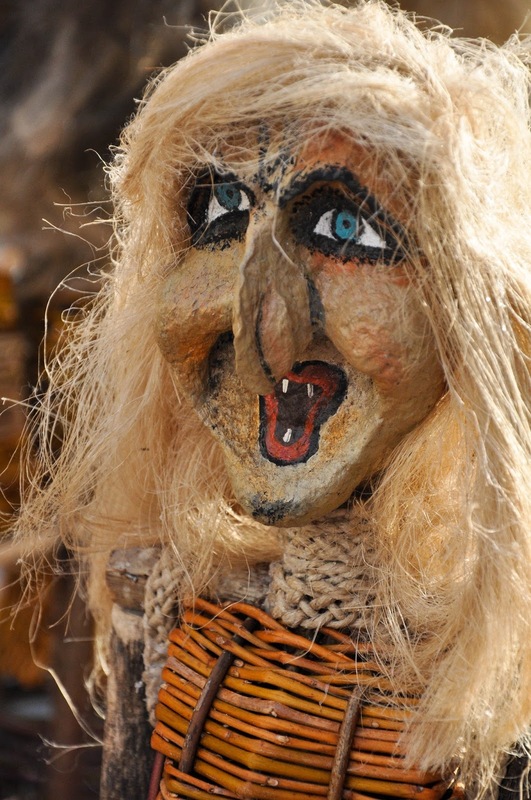 They had disproportionate faces with rather prominent noses, bewitching eyes, wispy hair and toothless mouths. I could almost hear them cackle. Let me introduce you to the strie (sing. 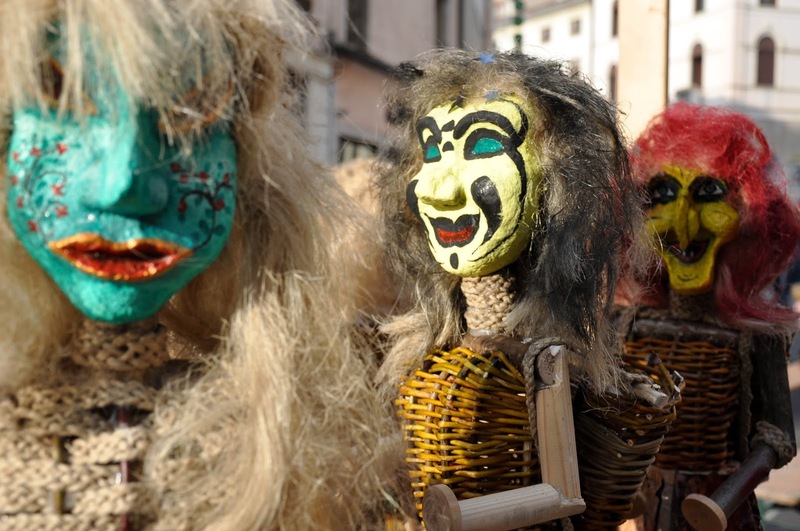 stria) – the witches of Veneto. These mythical creatures were indeed evil. Most likely descendants of an ominous owl-like vampiric figure known in ancient times as ‘strix’ or ‘striga’ in the Mediterranean region, they would fly at night in search of human prey. Luckily for me, the three strie I came across were not of the living and breathing kind. 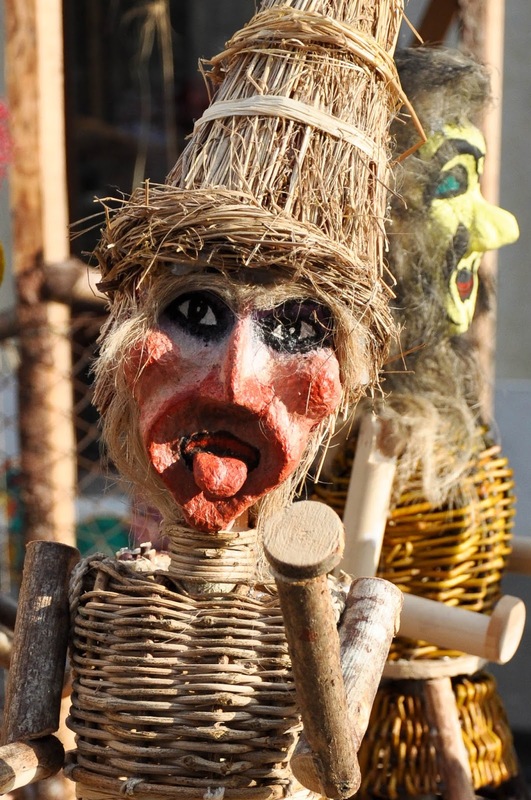 Made of branches, hay, ropes and with brightly painted paper-mache faces, they didn’t pose a threat. Instead they happily posed for pictures, whilst I learnt a bit more about them and the other magical creatures of Veneto. It seems the poppy-strewn fields and dramatic mountain backdrops of this Northern Italian region, where we currently live, are a particularly fertile ground for imaginary beings born out of olden legends and the human fear of the unknown. My guide through the mysterious ways of the witches, elves and nymphs of Veneto was an artistic-looking chap with hair not unlike one of his magical charges. He told me that he is a member of an artist collective which stages ‘Spettacoli di Mistero‘ – a festival dedicated to the legendary and mysterious places and creatures of Veneto. 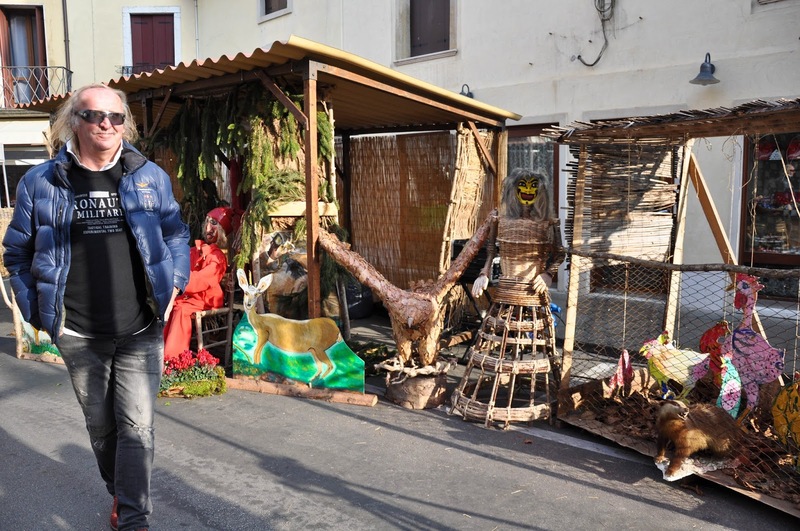 Unfortunately, their performances for 2015 have already finished, but still I had a chance to learn a bit about the themes they explore on stage during the Christmas extravaganza set up over two consecutive weekends in the nearby to us city of Thiene. It seems that, apart from strie, Veneto was also home to such weird and wonderful beings like anguane, Sanguanelo and Smara. Not to mention many different varieties of elves and fairies, too. The anguane (sing. anguana), for example, were beautiful water nymphs who lived in the lakes and rivers of the Alps and the Dolomites. They were exceptionally charming, sang well, danced gracefully and would sometimes seduce handsome young men. Unlike the strie, they wouldn’t kill people and animals, but could be deceiving and, in some legends, if you offended them, they would seek vengeance. An interesting detail is that the anguane had cloven feet and in some parts of Veneto, like Belluno, it was believed that they also had long breasts, so that they can cast them over their shoulders and breastfeed their children huddled in a basket on their magical mummies’ backs. Yes, I know, I was just about to remark on the ‘long breasts’ thingy and I remembered that the anguane didn’t like insults, so I had to bite my tongue. Sanguanelo was a mischievous elf, who would make you lose your track in the forest if by some bad luck you managed to step in his footprints. In order to find the right path again, you would need to put your shoes back to front. 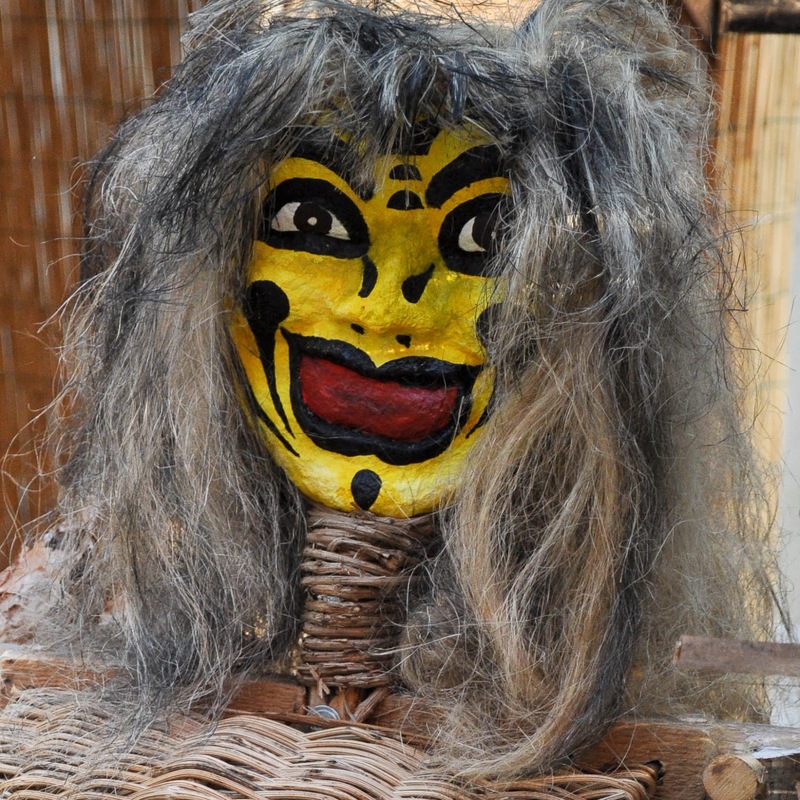 Sanguanelo would also kidnap children and scare off the cows in moonless nights. Apparently he was partial to forest fruits which would explain his red stained face. Smara on the other hand was a tiny but nasty witch which entered your home through the cracks in the door and then would sit on your chest whilst you were asleep. To top it all, she also suffered from incontinence! In order to get rid of her, apparently, you needed to leave by your bedside an empty bottle with a tightly screwed cap on. Upon seeing the bottle, the witch would have a terrible urge to pee, but not wanting to make noise by unscrewing the cap and thus waking you up, she would hastily leave. I found all this information rather ingenious! I wonder who told whom that this was a failproof way to expel an evil force. And, most importantly, what did people use in times gone by when they didn’t have glass or plastic bottles with caps and when, it would appear, the belief in witches was much more prevalent than nowadays. Many more magical creatures seem to have inhabited Veneto in the past (and some are convinced they are still here today). From an invisible pack of demonic dogs through evil fairies who would wear a snake around their waists to a mythical animal which was a mix of a rooster and a basilisk. No wonder that only a century or two ago people weren’t too keen to go out after dark. Several legends were attached to each one of these beastly apparitions and still nowadays there are places spread around Veneto where, popular beliefs state, you can come across witches and elves in their natural environment. 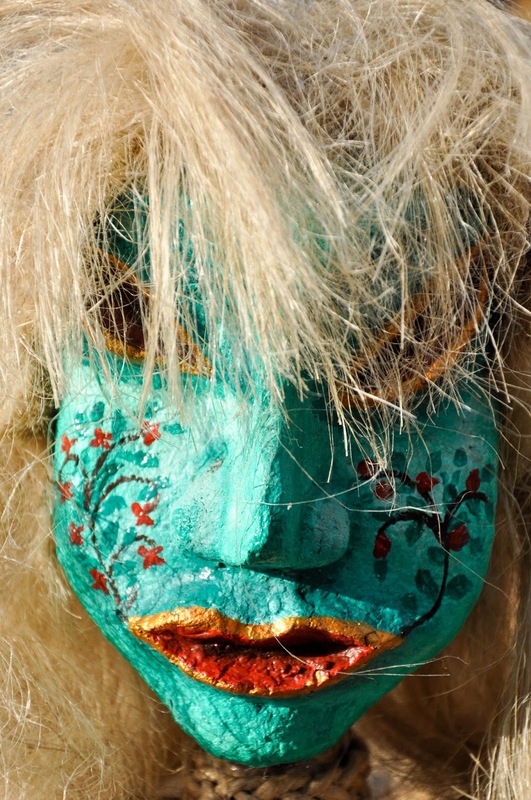 In conclusion, I need to say that I am now really looking forward to next year, when I am hoping to be able to catch a performance at an edition of the ‘Spettacoli di Mistero‘ festival and learn a bit more about the fantastical beings of Veneto and its rich folkloric tradition.